Aranda Briones missing Moreno Valley teen girl: Human trafficking victim? 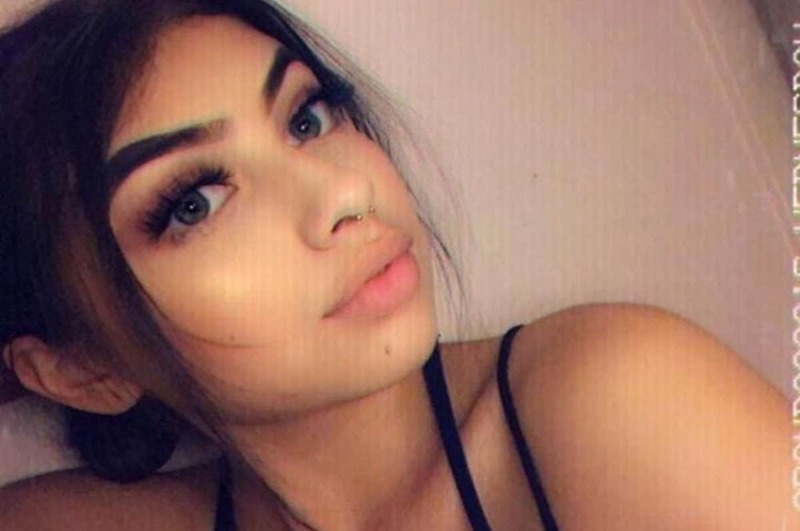 A Moreno Valley, California family describes their lives being turned into a living hell after the disappearance of Aranda Briones, 16- more than 10 days ago and still no sign of her whereabouts. A missing California teen girl, last seen hanging out with a friend ten days ago has led to one Moreno Valley family saying their existence being turned into a ‘living hell’. Aranda Briones, 16, was last seen Jan. 13, before she went to meet a male pal she knew from school, her family told KTLA. The friend said he dropped off the teen at Moreno Valley Community Park sometime between 6 and 6:30 p.m. and that she got into a gray, four-door sedan. Investigators haven’t been able to find evidence she was ever at the park, her family said. ‘They pulled footage, and they don’t know if the time was wrong, but it looks like nobody was dropped off between 6 and 6:30,’ her brother, Daniel Briones, told the outlet. The family canvassed the area around the park Tuesday and put up missing persons posters. ‘It’s been a living hell,’ said Aranda’s grandfather and legal guardian, Carl Horstkotte. Aranda Briones: A bad taste in friends. The girl’s uncle, Matthew Horstkotte, admitted that she doesn’t have the best taste in friends. The FBI has joined the Moreno Valley Police Department and the Riverside County Sheriff’s Department in the investigation. Aranda is 5 feet 4 inches and 110 lbs. with brown hair and hazel/green eyes. She was last believed to be wearing a white and blue jacket, a dark colored shirt and dark jeans. The sheriff’s department was expected to give an update on the search Wednesday afternoon. No word on whether foul play is expected or why the teen may have voluntarily sought to flee her family- and if so- why? Or whether Aranda may have found herself the victim of human trafficking.